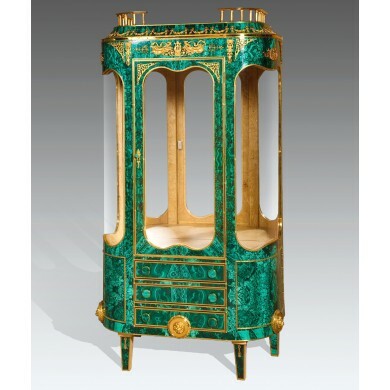 Malachite Dish on gilt bronze tripod-pedestal. 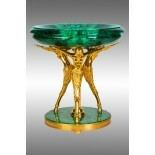 Home - Furniture - Malachite Dish on gilt bronze tripod-pedestal. Malachite Dish on bronze tripod stand with figures of frozen semi-divine winged mythological creatures from ancient Greek mythology and religion. 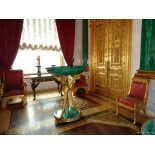 This is genuine Russian Imperial Style. 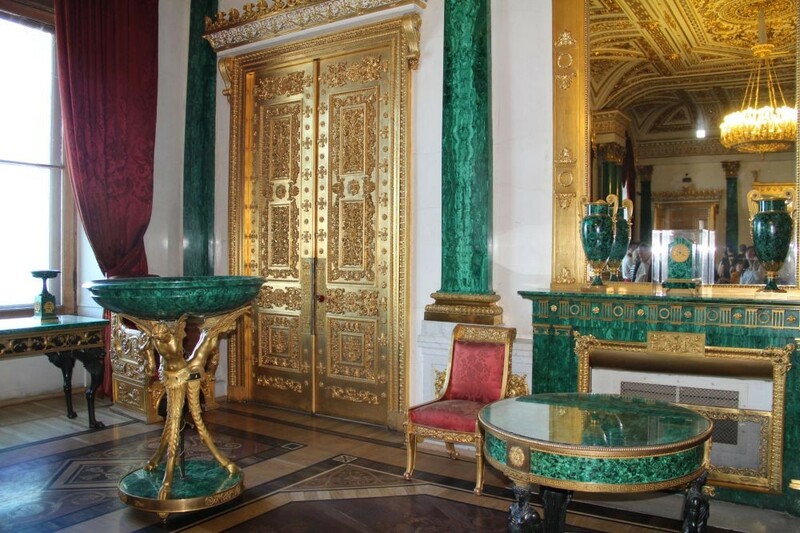 This is realistic true scale replica of Malachite Dish on bronze tripod-pedestal – one of the centre pieces of the Malachite Room in the Winter Palace in St. Petersburg. 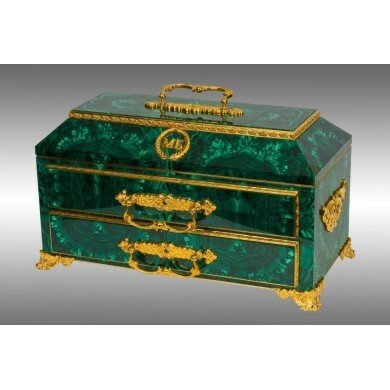 Model name: The Winter Palace Malachite Dish on gilt bronze tripod-pedestal. 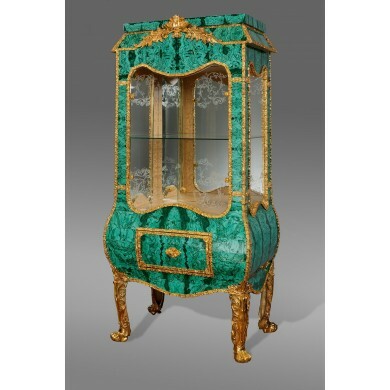 Description: This is realistic true scale replica of Malachite Dish on bronze tripod-pedestal – one of the centre pieces of the Malachite Room in the Winter Palace in St. Petersburg. This is genuine Russian Imperial Style. 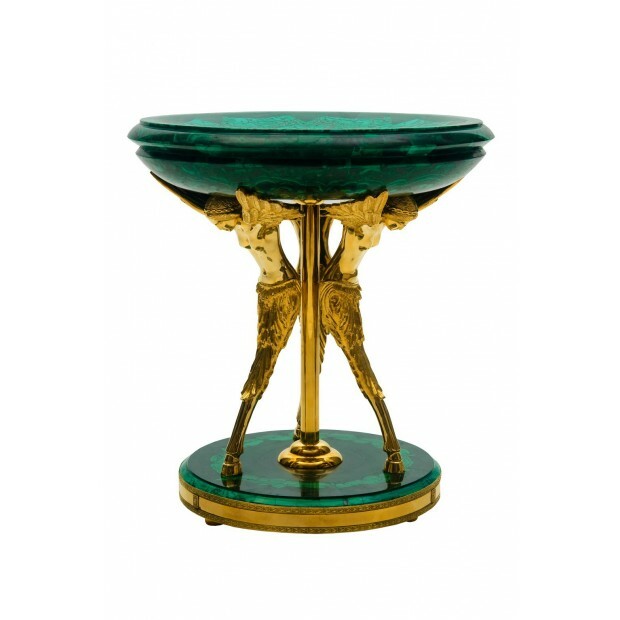 Malachite Dish on bronze tripod stand with figures of frozen semi-divine winged mythological creatures from ancient Greek mythology and religion. 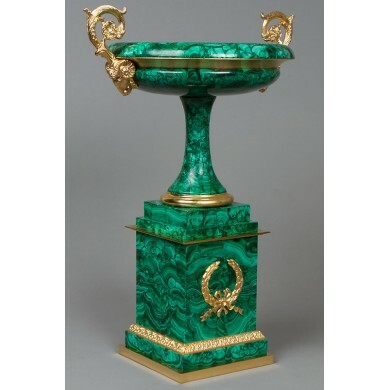 Manufacturing lead time: 3 months (90 days) - including total time required to manufacture one Winter Palace Malachite Dish on gilt bronze tripod-pedestal, including order negotiations, agreement preparations, entering into an agreement, cooling off period, design time, setup time, production sequence and schedule, inspection time, etc., until your order is ready to be dispatched. 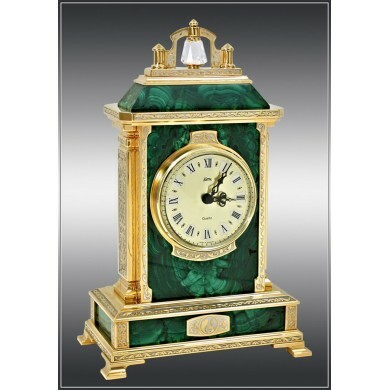 For make-to-order products, it is the time taken from release of an order to production and shipment/delivery. We only start a manufacturing and an assembly process after receiving customer's orders and advance payment and then progressive payments (Part payments made to a manufacturer at different stages as the work (or delivery) progresses, instead of making one full payment on the completion.) 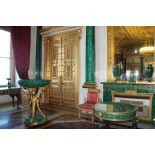 Please, feel free to ask questions, additional photos. Name: The Winter Palace Malachite Dish on gilt bronze tripod-pedestal.